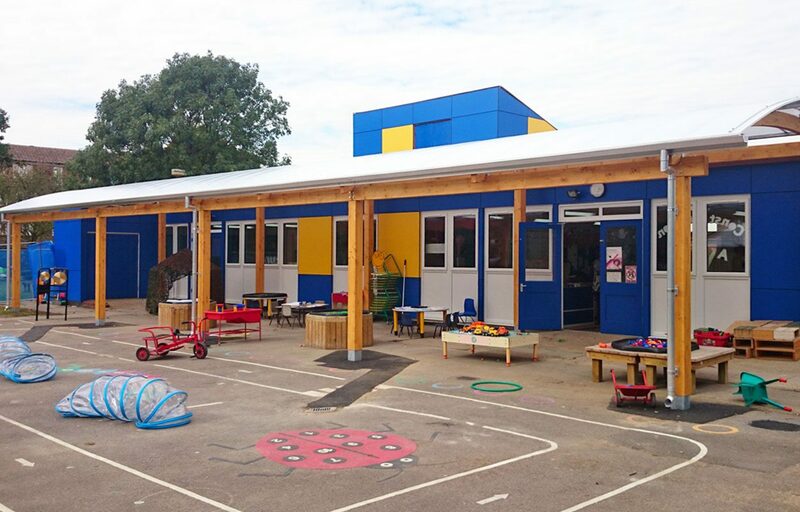 Playground canopy provides a practical and relevant context for learning. 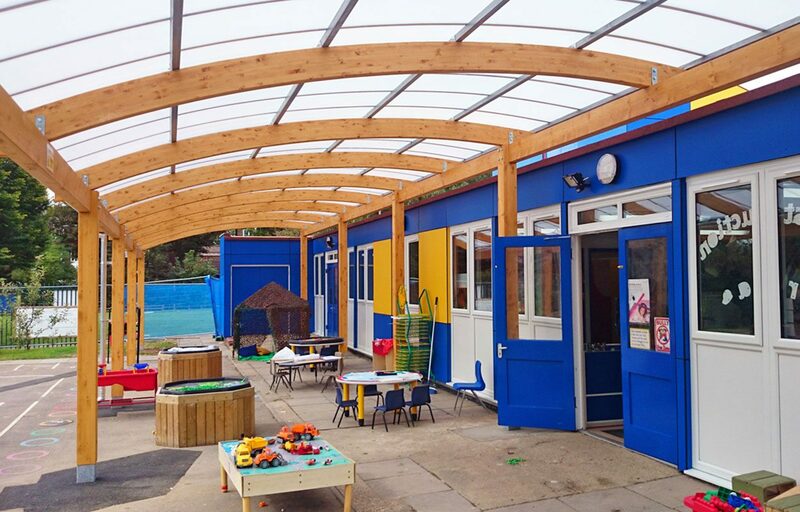 This playground canopy creates a sheltered area for children and staff while also shading the adjacent classroom building. The mono pitch structure is completed by a 16mm triple walled polycarbonate system that is designed for an endless range of glazing and roofing applications, for extreme weather conditions, and is known for its light-transmitting and reflective qualities.